Unfortunately, the week has started with more sad news. Today Brazil has lost one of its foremost journalists, the witty, smart, and often delightfully grumpy Ricardo Boechat. Throughout the country, Brazilians got used to waking up listening to Boechat on the radio and having dinner watching him on TV. Brazilians also mourn ten young soccer players who died at the Flamengo training center last Friday as officials start to investigate the causes of the tragedy. Searching for the truth or seeking spotlights, representatives try to revive the 1990s and 2000s CPIs (Parliamentary Inquiry Commissions) boom. In Venezuela, Maduro and Guaidó battle over the humanitarian aid that currently sits at the Venezuela-Colombia border. In Spain, thousands took to the streets to request Prime Minister Sánchez’s resignation. 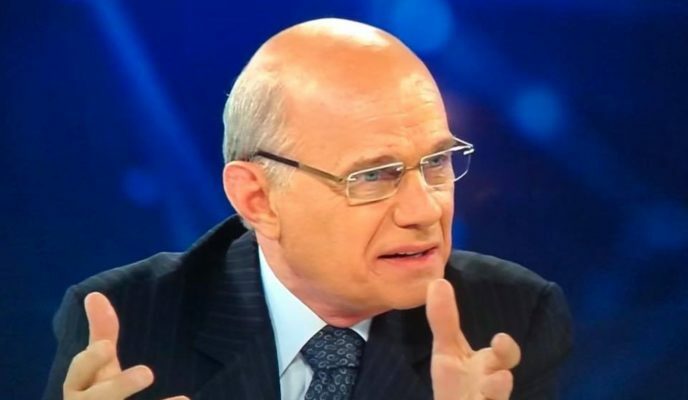 The journalist and radio and TV anchor Ricardo Boechat died earlier this morning in a helicopter crash in São Paulo. According to the rescuers, the chopper crashed into a truck on a busy road and exploded. Two bodies were taken from the wreckage, one of the pilot and the other of the journalist. Eleven fire trucks were sent to the crash site. The truck driver suffered only minor injuries. As families mourn ten young athletes who died in a fire at the Flamengo training center last Friday, investigators conduct a thorough inquiry about what has caused the tragedy. The main suspect so far is an incorrectly installed air conditioning system. Another problem mentioned by officials was the absence of monitors to take care of the underage athletes. According to the legislation, accommodations such as those should have two monitors and night watch security guards. In Spain, tens of thousands took to the streets today in a rally against Prime Minister Pedro Sánchez. The rally at Colon Square has been called by right-wing and far-right leaders opposed to Sánchez. They accuse him of blunt treachery because of his conciliatory tone with the Catalan separatists. Waving Spanish flags, the crowd cried for elections and the PM’s immediate resignation, all the while chanting slogans that appealed for a united Spain.